"What should I be registering my child for?" Our club provides three different soccer experiences. REC is where the love of the game begins. Our program serves ages 4-18. There is no tryouts and everybody gets equal playing time. Ages 11 and above are co-ed. It is all about the kids having fun playing soccer while developing their skills. We offer Spring and Fall Rec Sessions. The Advanced Rec Program is for U7 & U8 players that will be transitioning to travel soccer at U9 or for players that wish to improve their skills and learn more about the game of soccer. The Advanced Rec Program trains 2-3 times per week in the Spring and 1 time per week in the Fall. Over 8-10 weeks they will learn and train on dribbling, shooting, collecting and receiving, passing and shape/space. In the spring we will spend about 5 sessions on each topic and 2 sessions in the fall. The Advanced Rec group does not play other teams. We run our training sessions just like a travel team would. We start out by warming up and doing small sided activities with a lot of touches on the ball and progress to small sided scrimmages at the end of each training session. The Advanced Rec group is coached by the Director of Coaching. Parent coaches that have coached in Rec or in Travel, or parents wishing to start coaching are encouraged to help with the group. The goal of our Advanced Rec Program is to provide a fun and positive atmosphere where our players can learn the techniques and tactics that will allow them to transition into the travel program. We offer Spring and Fall sessions. Traveling soccer is a more competitive environment and requires a higher level of commitment by the player (and parents). 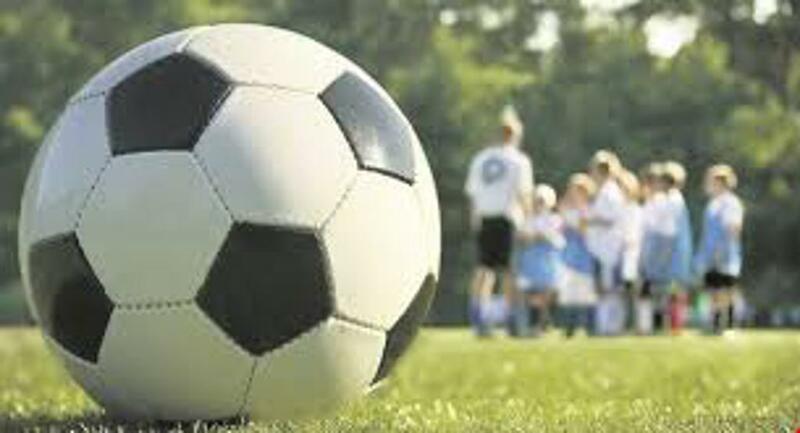 Traveling Soccer is comprised of Developmental (U9-U10) and Competitive (U11 and older). For the U9 and older teams tryouts are held each fall to arrange the teams. Games are played against other soccer clubs primarily in the Eastern MN & Western WI suburbs. In addition to league play, Teams will register for tournaments to gain more experience . We host one tournament annually in Hudson (the Rivertown Classic), but other tournaments would be played out of town. We offer Fall and Spring Programs. Indoor training is included in the cost of the Spring Program. Listed below are three possible options for each soccer player to take in our program. There are many other options available through our program but these are the most typical. PLEASE NOTE: Due to US soccer mandate of age assignment by birthyear the ages below could be +/- one year. Interested in becoming a Sponsor? Sponsorships include your logo and website on our website, social media, tournament advertisements, menu boards, field signs, and newsletter. Your sponsorship is tax deductible and supports the Hudson Community. Click here for more information.